Barnegat Light Plumbing & Builders is Long Island Beach's local plumbing expert. Our team of highly skilled plumbers can take care of any faucet, fixture or water pipe issue you may have. Call us today to schedule the plumbing service you need. Let your local plumbing specialists take care of your plumbing issues. 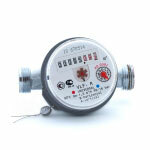 Plumbing repairs can be frustrating if the repairs are failing. If you have been trying the do-it-yourself approach and it is not working call Barnegat Light Plumbing & Builders. We will repair any water and/ or drain line leak you may have and save you money. You have minor faucet repair or replacement issues that drive you crazy? Have a frustrating toilet problem? We like to help! Providing and installing plumbing fixtures manufactured by the most proven in the industry. Kohler, Mansfield, American Standard, ProFlo, Toto, Grohe, Moen, Delta, Zurn, Bradley, Elkay, Chicago Faucet and many more. We can recommend plumbing fixture showrooms and help set up appointments so you can choose what fixtures are right for your project. If you are remodeling or simply updating your existing water pipes, call Barnegat Light Plumbing & Builders for the best solutions in replacing old steel or lead water piping with copper, pex or cpvc. We will make the best recommendations to fit your budget and get the job done. Gas or electric, we carry them both. 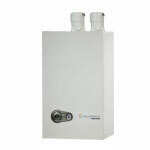 Our selection of water heaters are chosen from the most proven in the industry. Providing manufacturers such as Bradford and A.O. Smith. 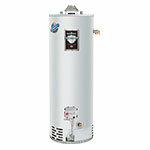 We also carry and install tank-less water heaters. 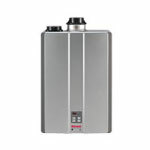 Such as Rinnai and Navien on-demand water heaters. We offer free consultation to advise you on your best choice that meets your lifestyle and your hot water demands. The winter season can be brutal when it comes to water pipes. This generally occurs when the proper considerations were not taken during the installation. We will repair the situation and then advise you on how we can prevent frozen water pipes from occurring in the future.